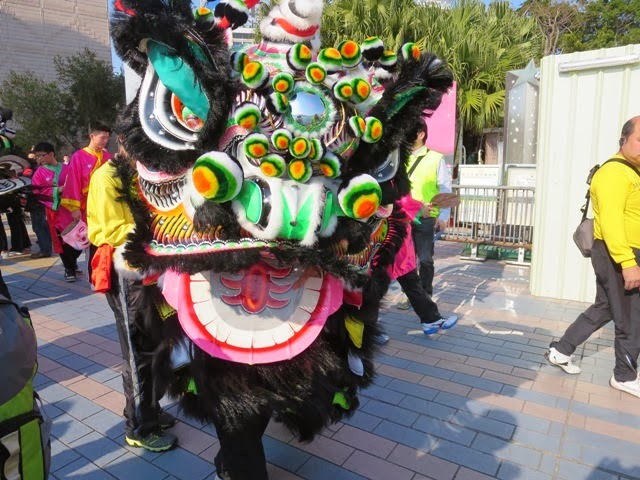 On January 1st, Hong Kong kicked off the New Year by hosting the annual Lion and Dragon Dance Parade in Kowloon. To top off the hundreds of lions and dragons, this year over 1,000 parade participants were decked out with happy Buddha masks. 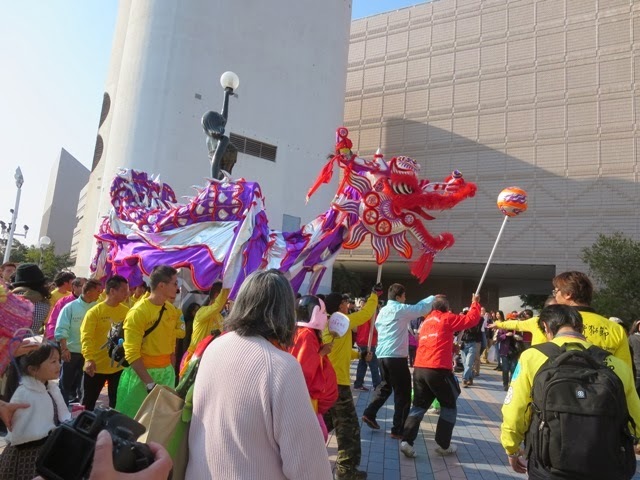 The Parade started at Canton Road, ran along the Avenue of Stars and finished at the UC Centenary Garden in East Tsim Sha Tsui (next to the Intercontinental Grand Stanford Hotel). B and I headed out to the Avenue of Stars about half an hour before the parade was expected to pass in order to find ourselves a good vantage point to watch the festivities, and near the Hong Kong Cultural Centre so we'd be close to washrooms. I'm not a big fan of crowds but the length of the parade route meant there was a comfortable number of people along the way, so the parade was easy to see and it was easy to navigate the route even with a stroller.